When people feel comfortable, they act differently. It's no wonder that for the majority of us, when we are at home, we are comfortable... therefore, we tend to (or not) do things that we won't usually do in public. Well, as professional photographers, one of our jobs is to make our clients feel "at home" and comfortable with us and in front of the camera. The tricky part of this is that you have to be able to do that in a matter of minutes or even seconds sometimes. When an engagement session happens, we have met our couple maybe once... once during their consultation with us. Only once! If that sometimes! 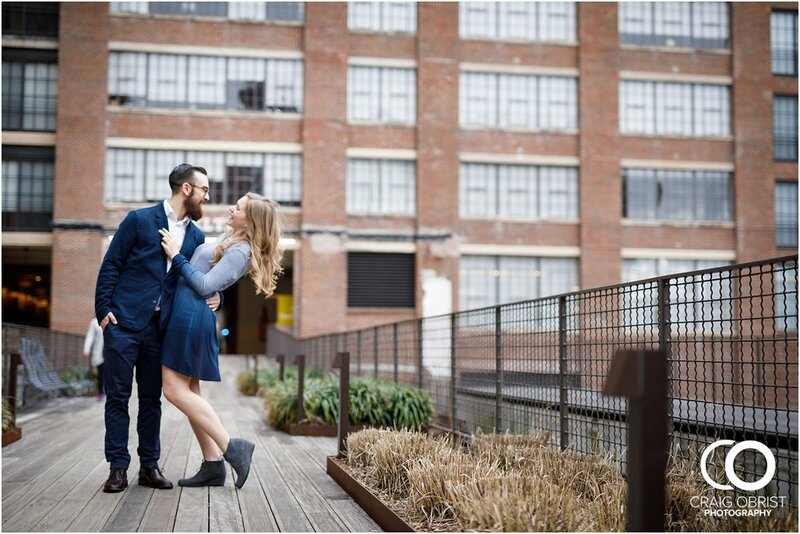 Sometimes the booking happens over the phone, so their e-session is the first time we ever even meet! And, as soon as you meet them for their shoot, you begin the shoot right away. We of course talk to them and just causally get to know them more and more and more. Because the more we know them, the more we can read what they like, dislike, what they're comfortable with or not. Every joke that Craig tells, every funny face he makes, every direction he gives is there for a reason. The first attribute about Craig that I fell in love with was the fact that he made me feel comfortable. I could just be myself. I didn't have to try to be anything or anyone... just me and that was enough. And when I observe his interaction with our clients, that's the sense I get. He just has this gift of making them feel like they've known him for years, and we want our clients to know that they are beautiful the way are and that they're enough. I was not able to attend Darby + Cody's session (I was so bummed guys! ), but by looking at these photos, I just know where he said a joke to make them laugh so naturally. When looking at these photos, I feel like I know Darby + Cody. Just look at how comfortable they are with one another and in front of the lens. I mean, they totally look like models right?? Because they're COMFORTABLE! The chemistry between these two is perfect. It's just perfection! There's just no other way of describing it. I don't know about you, but I can literally just sense the love between this husband and wife to be. The joy between them are so contagious, and even as I'm writing this blog post, I just can't stop smiling. Gosh! They're so much in love and you can feel that! I love how they adore one another.... I believe that these photos captured more than just the fact that they engaged, it captured the authenticity of their love and their love story. 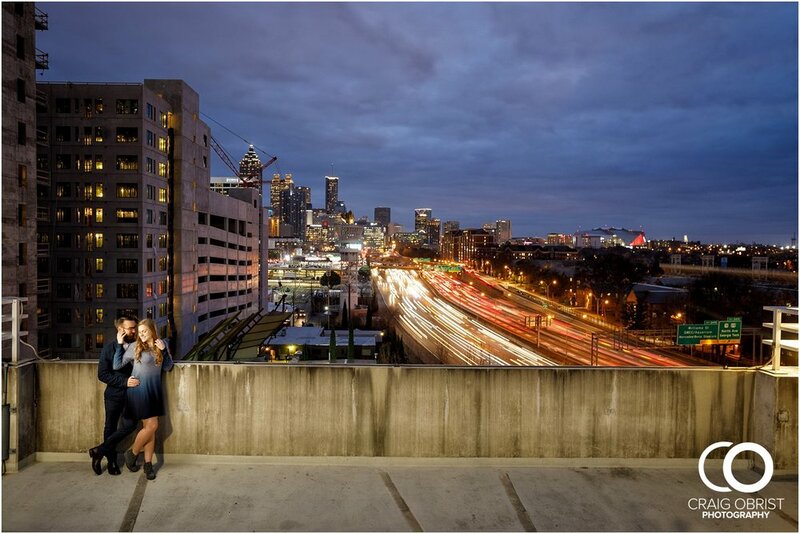 This was our first time shooting at Ponce City Market, and we were so glad that it was with Darby + Cody. Guys, thank you for allowing us to be part of your engagement journey. We hope that you guys embrace this season and have fun deepening your relationship with one another as you plan and approach the day you say, "I do"! We are very excited for you, and we hope that these photos will remind you of how beautiful you are together. Congratulations and see you on your wedding day!